Request a fully serviced and calibrated vaporizer that will be sent to the clinic, hospital or research facility. Control dial is difficult to turn. Dial turns freely with no output. Vapor percentage numbers are illegible OR worn. Leakage of liquid OR vapor. Elapse of recommended service interval. 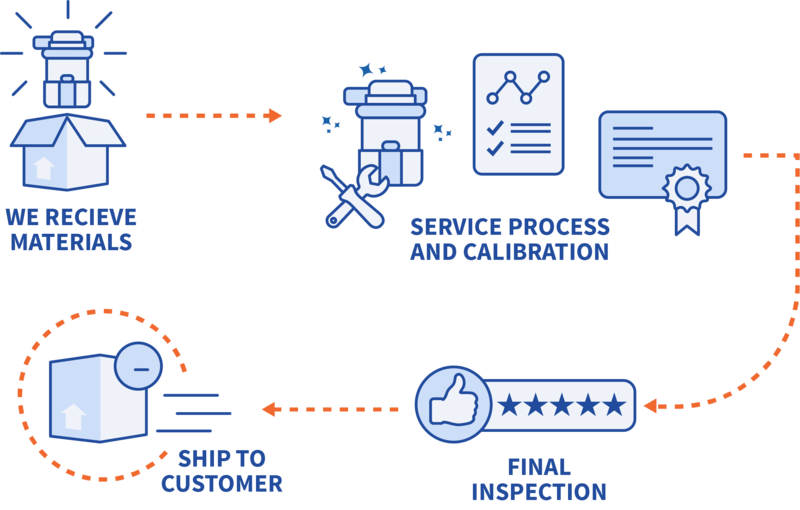 You now have a fully serviced and calibrated vaporizer, a copy of a comprehensive calibration certificate and confidence in your vaporizers clinical accuracy. Your vaporizer is now ready for use! Your facility, patients and staff have had little to no downtime and now meet all safety regulations. SOMNI Scientific has 75 years of combined experience in both human and veterinary anesthesia vaporizers and systems. Vaporizers are pneumatic devices which like an aircraft are subject to constant pressure variations. Preventative maintenance on your anesthetic vaporizers provides confidence in the clinical accuracy and the health and safety of patients and staff. SOMNI Scientific offers service on a wide range of anesthetic vaporizers. 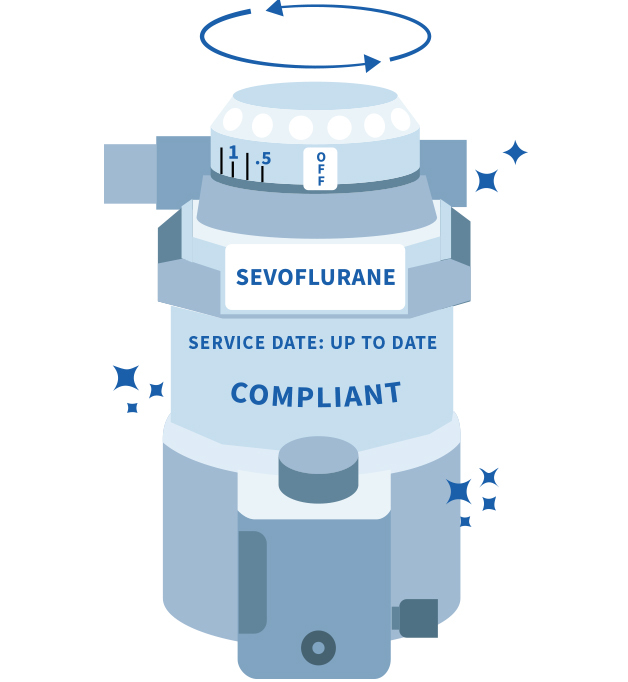 Routine vaporizer service is critical in maintaining compliance and safety. 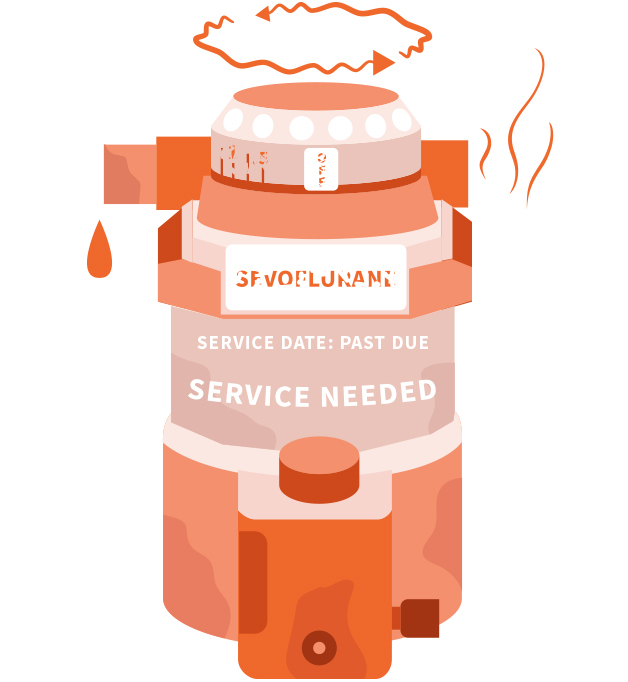 This service cannot under any circumstances be performed on site.